An Amtrak Cascades train pulls into the Eugene train station. 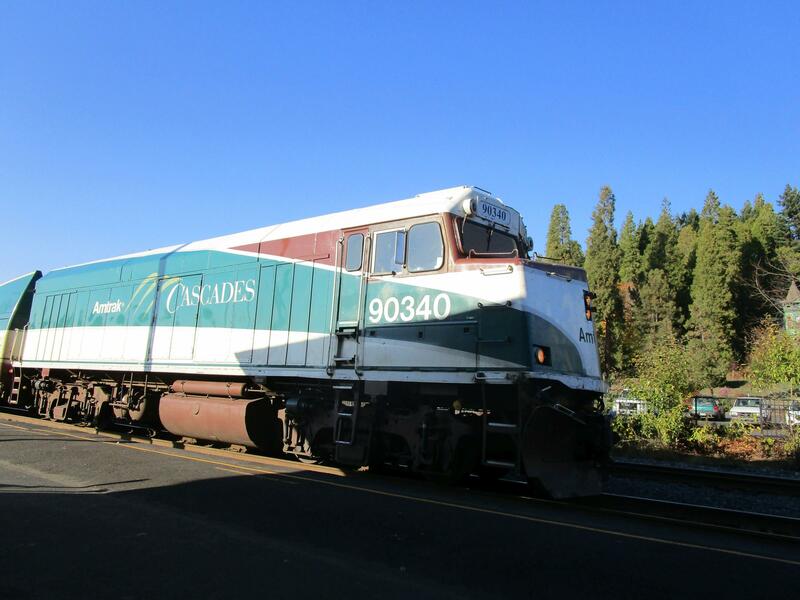 The Oregon Department of Transportation has outlined two options for improving the state-supported Amtrak route in the Willamette Valley. One proposal would build a largely new rail line alongside I-5. Another option, which the state prefers, is to upgrade tracks and signals along the existing route, which is shared with freight trains. Either way, the improvements would allow more service along a corridor which now has three passenger trains a day in either direction. 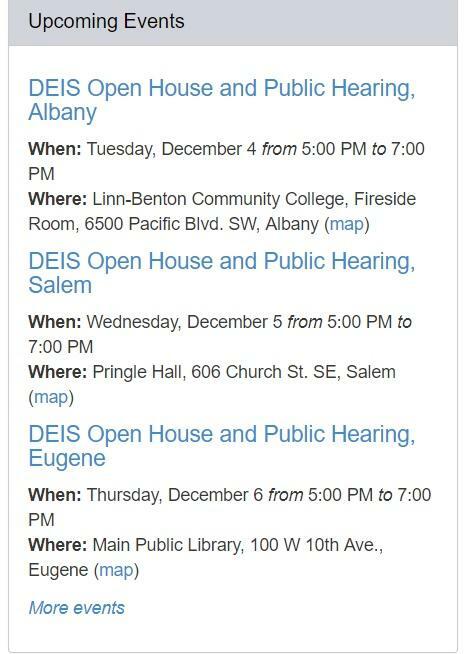 Public comments are being taken on the environmental impact of the proposals this week at open houses in Albany, Salem and Eugene. The public can also weigh in online through December 18.